It’s been 5 months since my last blog post and I’ve been busy, but I can’t say that I’ve been as productive as I would have liked… but in the past month or so it has all started to come together. 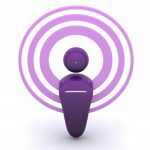 Earlier in the year – about the same time that I wrote my last blog post – I had signed up for a podcasting course that David Ralph (JoinUpDots Podcast) was teaching. It was a great course and there were about 4 other people in the course with me and we all became friends. I also should say that I am not the only one who hasn’t gotten their podcast up and running. There have been a couple of others who have successfully launched and I was so envious of their success. It did however give me a lot of impetus to get myself going again. That’s when I decided that if I really wanted to create a podcast then I needed to do it and get some help putting it all together. I already had a great podcasting teacher (David Ralph) and I had a good group of Internet Marketers to call on for help (NAMS Insiders group) so I really had no excuse except my own lack of self-confidence. A month from now I will have no excuse if I don’t have everything launched and going! I am so excited and so looking forward to being a working, productive, and very successful podcaster !!! 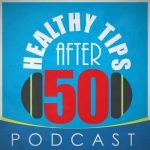 You will be able to find my Healthy Tips After 50 podcast in all of the usual places where podcasts hang out – iTunes, Stitcher, etc. 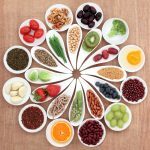 In addition, you will be able to go to the website I’m creating for it at HealthyTipsAfter50.com. The website will have a separate page for each of the podcasts there will be a podcast player (including MP3 download), show notes, links to products and/or subjects mentioned in the podcasts, and transcripts. I am also going to set up a FB Page where I will also post the podcast itself and it will also be a good place to stay in touch and comment on them. If you want to know more and especially if you want to be notified when the launch date is set be sure that you are subscribed to this blog because I will be announcing it here first!! 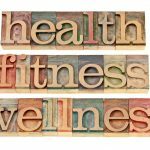 Also, leave a comment below with any health topics you’d like to hear me talk about! I’m always looking for more topics! There will also be a tip at the end of each podcast that you’ll find valuable! 4 replies to "Announcing My Latest Endeavor – A Podcast!!" Nice blog Susan. Sounds like you have a plan and you’re following through. Best of Luck. You can make it happen! Thanks for the comment and the good wishes. I am getting much closer to launching and will be announcing it in a post here as well as on my new podcast/blogging website. 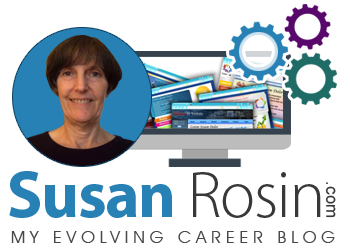 Awesome post Susan – what a plan. I’ve no doubt you’ll get this done. Also being in the age bracket you mention 😉 I’m really looking forward to hearing your podcasts. One topic I know mostly everyone my age would like to know more on is the dreaded “M” yup that’s right the Menopause – so any tips or advice you have on that with regards to fatigue, flushes etc my ears are open.